Lines, creases, and wrinkles no longer need to have a prominent place on your face. Today, with more people looking for ways to fight signs of premature aging, there have never been more choices. While many look to the convenience and positive results of injectable fillers such as collagen, hyaluronic acid, or micro-fat injections, perhaps nothing is as exciting and as long-lasting as Radiesse. The long-lasting results with Radiesse coupled with its hypoallergenic properties make it an especially appealing treatment. Made out of calcium hydroxylapatite (which occurs naturally in the body), and suspended in a gel, Radiesse remains soft and natural feeling and offers results which may last up to THREE years! The hydroxylapatite in Radiesse takes on the characteristics of the surrounding tissues, ensuring that it remains soft and pliable wherever it is injected. Meanwhile, unlike other fillers, Radiesse does not get absorbed by the body, allowing it to last much longer than other treatments. 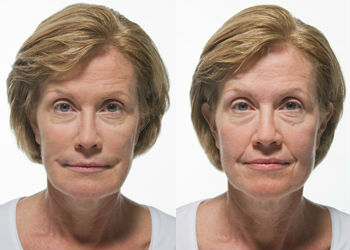 Radiesse stimulates your own body to lay down more collagen. This makes a NATURAL improvement to your skin and to your appearance and this improvement lasts a very, very long time. While Radiesse is a fairly new treatment, its main component, hydroxylapatite, has been used in medical procedures for many years. Its safety and efficacy had been demonstrated conclusively. 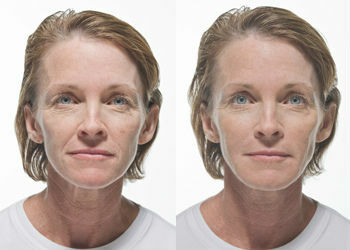 With a cosmetic treatment like Radiesse available, you no longer have to put up with signs of premature aging. 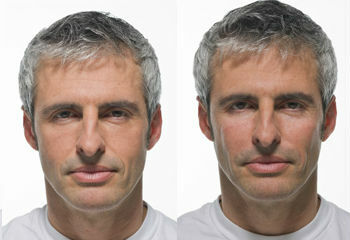 Lines, creases, and wrinkles can be smoothed out, creating a younger and more vibrant looking you. Best of all, because of the generous size of the packaging of Radiesse and its almost incredible long-lasting effect, Radiesse is very COST-EFFECTIVE when compared with similar, but shorter-acting fillers. See more before and after photos in Gallery 3.